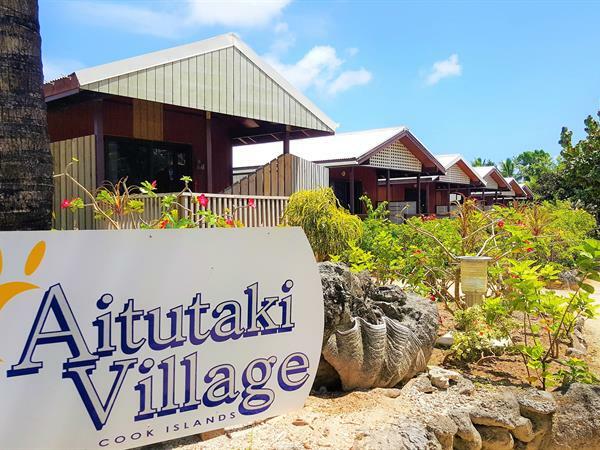 This property provides a quiet and relaxing environment on the edge of Aitutaki lagoon, ideal for swimming and extensive water activities. The 12 individual Garden bungalows are set amongst lush tropical gardens, and only a few steps away from the beach. Each of the bungalows feature king-sized beds (twin rooms are available), air-conditioning, insect screens, ceiling fans, tea and coffee facilities, refrigerators, prepaid WIFI available, ipod docking stations, clock radios, hairdryers, ensuite bathrooms and private decks. The Polynesian inspired restaurant and bar (The Blue Lagoon Restaurant & Bar) has stunning views and is located on the lagoons edge. Breakfast, lunch and dinner is available, and also special themed dinners, including the popular Island Nights. 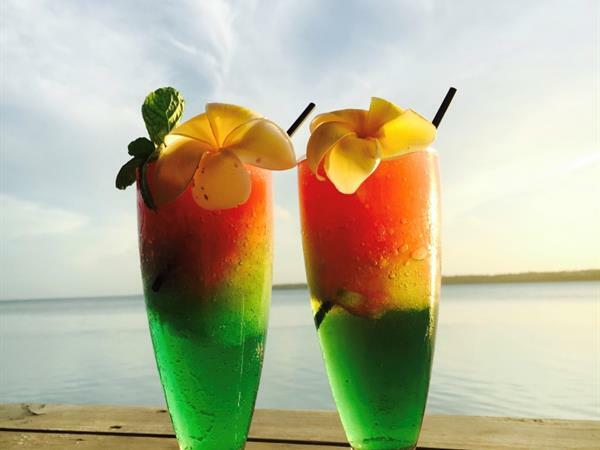 Bishops Cruises, Weddings on One Foot Island, water taxi services and private charters depart on the Aitutaki lagoon directly from Aitutaki Village. Nightly rate includes island continental breakfast daily of fresh fruits, cereals, toast, coffee/ tea & juice, welcome juice on arrival, free use of kayaks, sun loungers and beach towels.